Gives you complete protection from nature's elements with superior strength and long term durability. 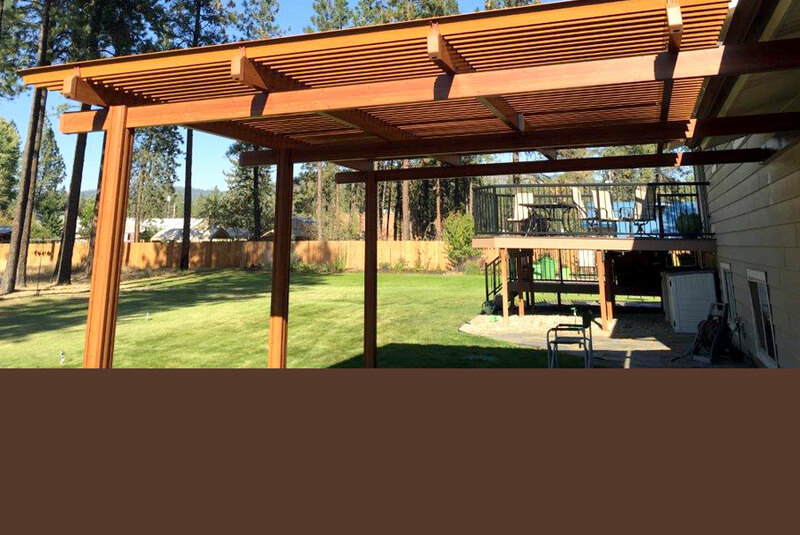 Embossed ceiling panels, setback beams, and posts give this high performance patio cover the look and texture of natural wood without the maintenance associated with wood structures. 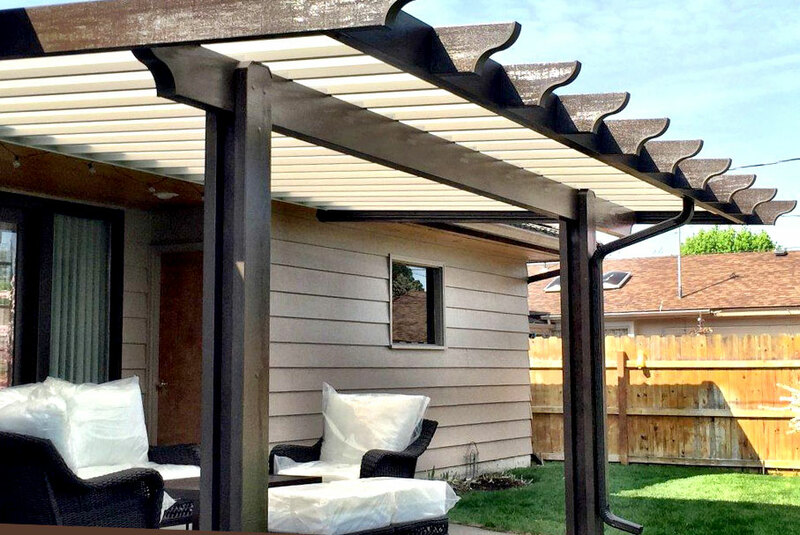 The "Smart" Shading System - Both a Patio Cover and a Pergola at the same time! 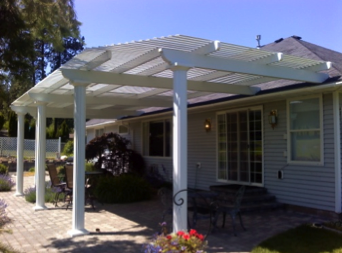 A shading system you control as an Angled Pergola, Open Pergola, or Solid Patio Cover. 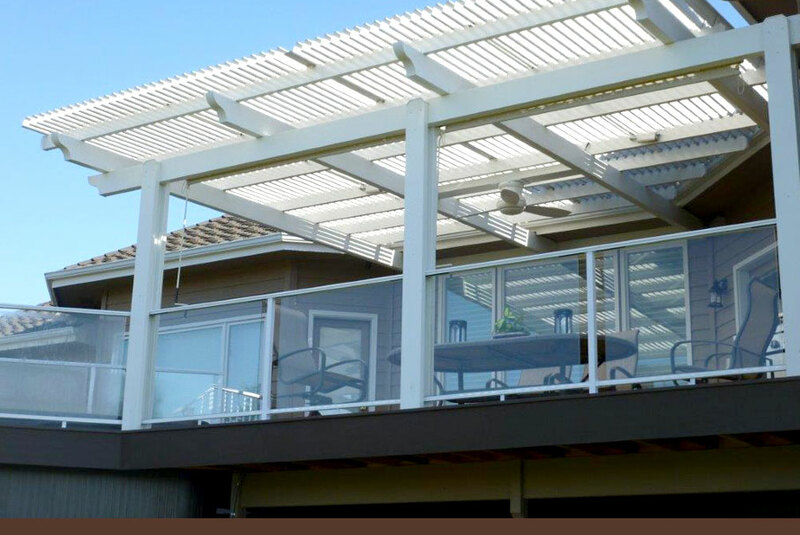 Solara's "smart" patio cover enables you to significantly increase your living space and quality of life during the warm summer days as well as during the colder and rainy winter season. Allows filtered light transmission while providing full weather protection. Bronze and Opal tints protect you from harmful UV rays. Skylights may be integrated with traditional solid covers to allow areas of shade and light. 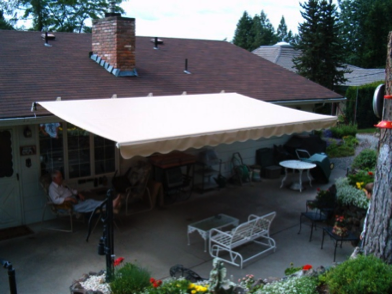 Shelter your outdoor gathering area with these solid patio covers that shield you against direct sun, rain, and snow. 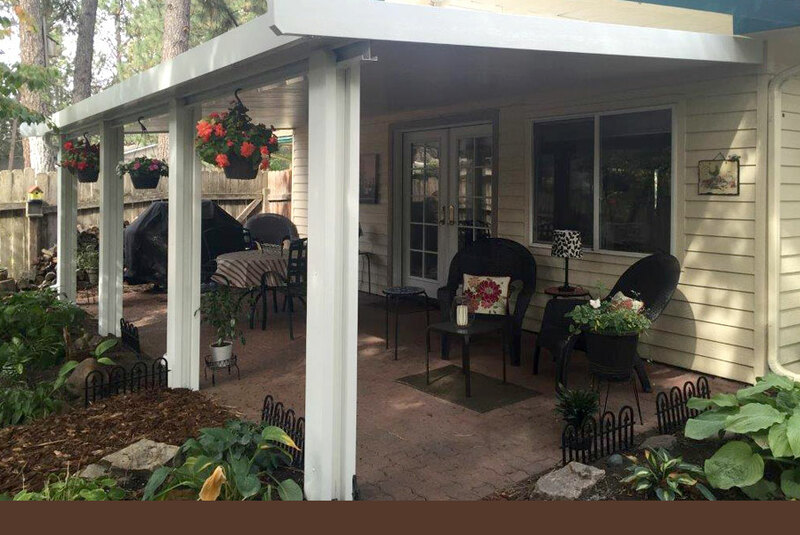 Our basic patio cover provides solid shade, defending you and your home from harmful UV rays, while providing a great cover for relaxing on your deck or patio. 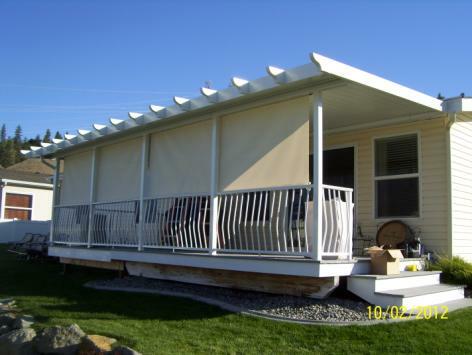 Whether you want push button motorized, or manually operated awnings, our retractable deck awnings and patio awnings offer you unsurpassed shade, protection and quality, all at exceptionally affordable prices. 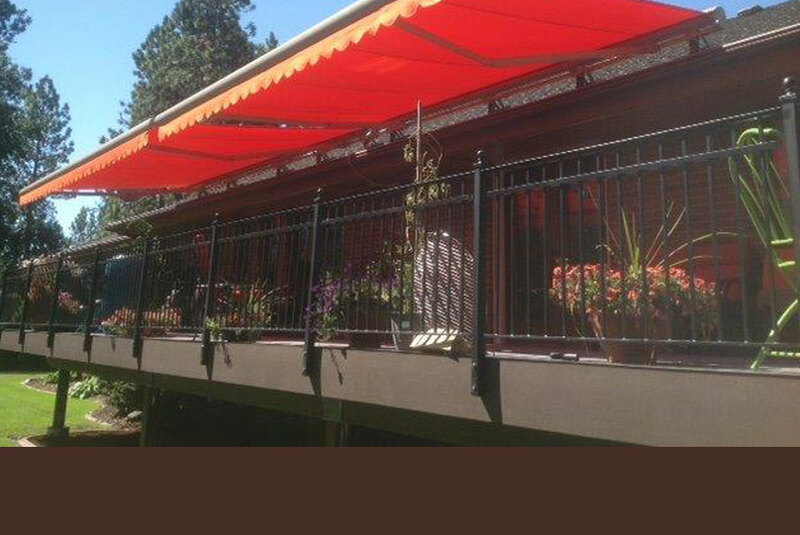 You’ll love our strong, waterproof awning fabric and beautiful decorator awnings color choices. 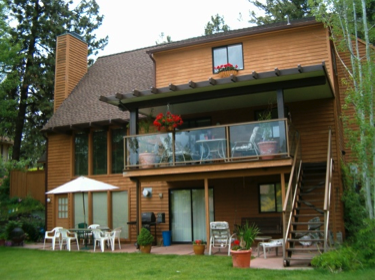 Alpine window awnings are an energy saving investment in comfort and beauty. Windows are the biggest source of heat gain in your home. 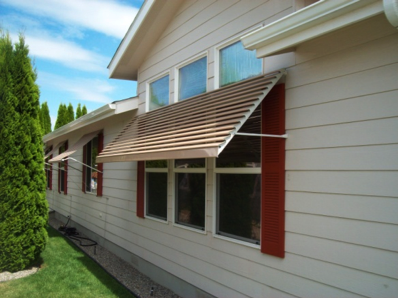 Government studies indicate that awnings can reduce solar heat gain by up to 77%. 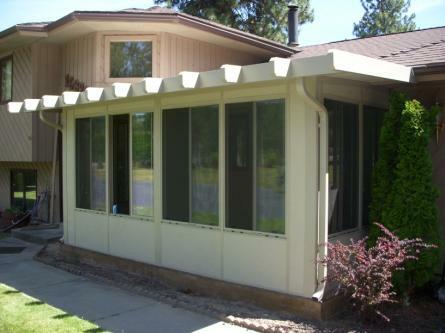 Alpine offers three styles of aluminum window awnings in a variety of colors and patterns. 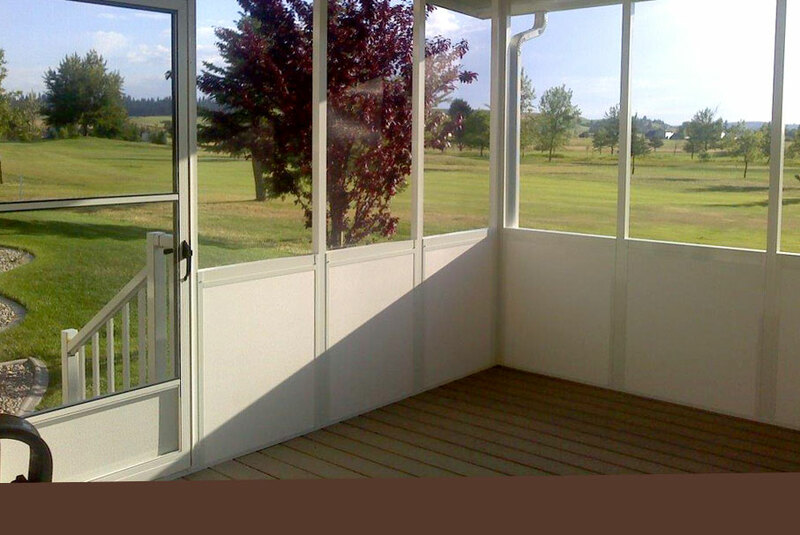 A sunroom addition is more than a home improvement, it’s a lifestyle improvement. Alpine installs some of the most efficient energy saving rooms. The windows and walls are housed by heavy duty extruded aluminum with thermal breaks to keep the heat of summer and the cool of winter outside. The design flexibility we offer allows you to customize your new living space. When you want to have the breeze but want the bugs to stay out then our patio screen rooms deliver the best of both worlds. Relax in comfort knowing you just made an improvement to your existing house or vacation home that will return hours of ease and increase property value. 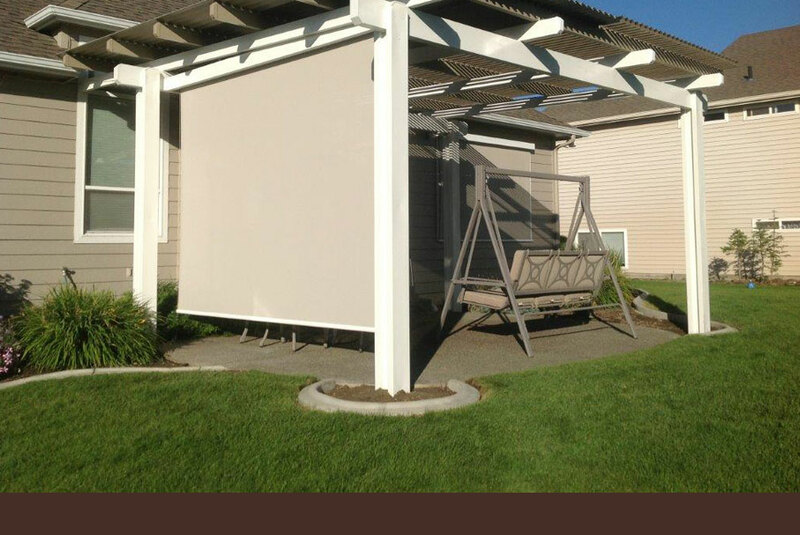 Vertical solar shades are the perfect solution when you want privacy, shade, and breeze protection. 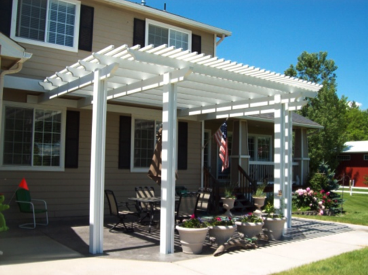 They are great for your porch, slider, gazebo, pergola, or other outdoor structures. The shades use durable vinyl mesh to block up to 90% of sun, wind, and mist yet lets in soft, filtered light and air. Manually operated versions includes hooks to secure at corners while the motorized models roll up and down on cables or tracks. AIRA is the first choice among homeowners who want the combination of greater outside visibility and impressive styling. 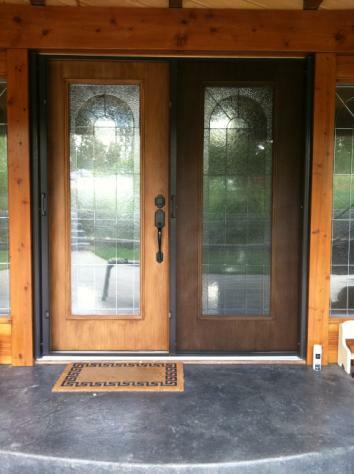 The safe, reliable operation of our screens will keep the insects and harmful UV sunrays from penetrating your doorways. 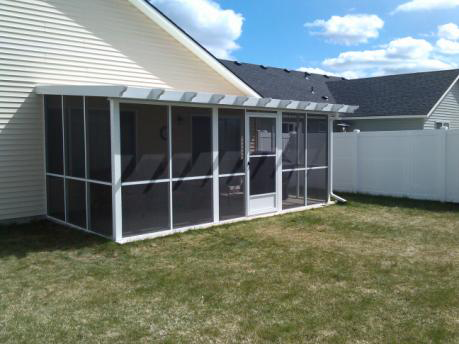 The custom manufactured screens fit virtually any opening, including single or double entry doors, patio sliding doors, French doors, or garage doors. DekSmart railings offer the combination of aluminum and powder coating, which provides for a very low maintenance product. DekSmart railings are extremely versatile. 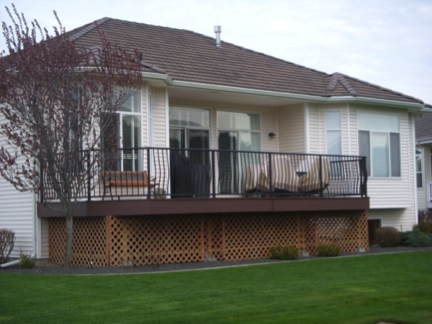 All parts are interchangeable between glass and picket railing and even between component and welded railing systems. We offer a choice of powder coated colors to compliment almost any architectural style. The continuous top rail designs available in aluminum railings provide strength and safety for traversing stairs and ramps. Support posts may be mounted on top or attached to the facia. Custom gates at the landings keep the areas secure for children and pets. 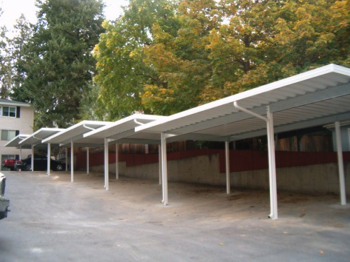 Protect your cars or motorized vehicles from the harsh sunlight in the summer as well as other seasonal weather conditions with one of our carport covers. Choose from several designs that shield your investment against direct sun, rain, and snow. We’ve Got You Covered No Matter The Size. 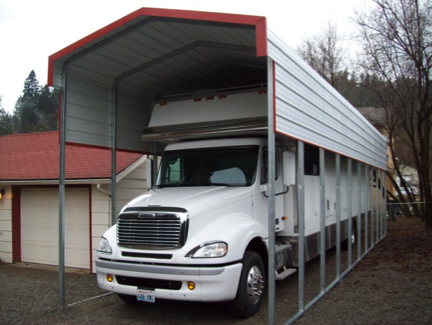 From an RV to a boat to 30 ton of Hay or outdoor equipment, VersaTube carports, RV Covers and shelters keep your Investments covered. We use 2" x 3" heavy gauge galvanized steel tubing that can be configured to cover any area requiring shelter from the elements. Our buildings assemble easily on any level surface by following the instructions and by using the ground anchors provided in most kits. 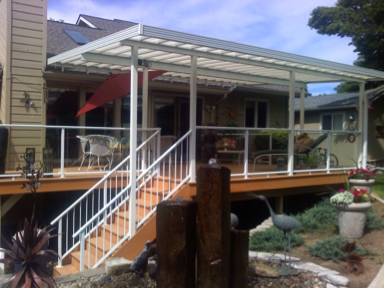 We are a local Washington State company with over 30 years of experience in Designing, Engineering, Manufacturing and Building quality Aluminum and Steel Carport systems for property owners, developers and contractors. Every job is specifically engineered to meet load requirements for your area. 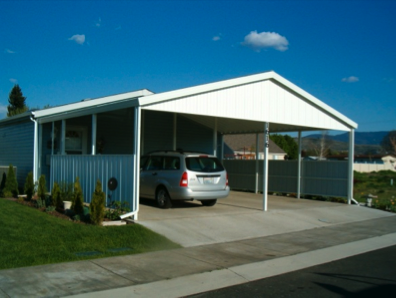 The carport styles include 4 post, center post, or gable style with metal or composition roofs. 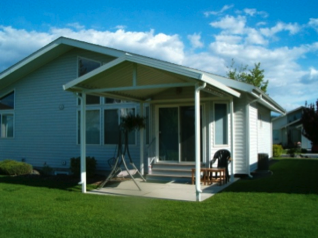 Finish the set-up of your manufactured home with our Everlock deluxe maintenance-free vinyl skirting that features a lifetime warranty. Easy to install with pre-cut corners and vented panels. Everlock has a choice of color, including: white, beige, gray, tan, and sand. K-Rock skirting gives your home a unique stone look with no maintenance. Panel can be ordered in 3X5 or 4X5 sheets and cut in half for ease of installation. Each piece overlaps the other without breaking up the rock pattern. K-Rock is available in brown, gray, or sandstone with a five year paint warranty. 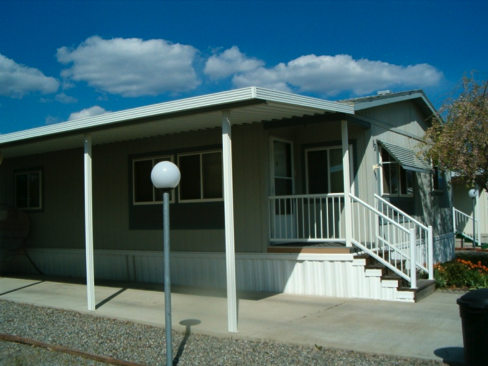 Minute Man manufactured home tie down anchors are approved for all building codes throughout the country. They meet specification for all three wind zones in North America. We offer transverse and longitudinal anchorage, as well as I-beam frame clamps. "Thad Schoesier came out and gave an estimate and was such a trustworthy man! My husband and I felt very comfortable with [his] ideas and suggestions... We booked the job and the installers were on time, very courteous, and cleaned up beautifully after the job was complete! This is hard to come by these days!" "The job Alpine did was professional and on time. The quality of the product and workmanship is exceptional. We will use Alpine Patio Concepts again! 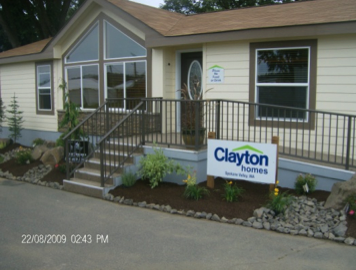 We would highly recommend them to anyone."